Happy Monday!! I hope this post finds you well. I am still coming off of my high from speaking at the Pinner’s conference this past weekend. If you were in my class, and are a new subscriber, then welcome!! 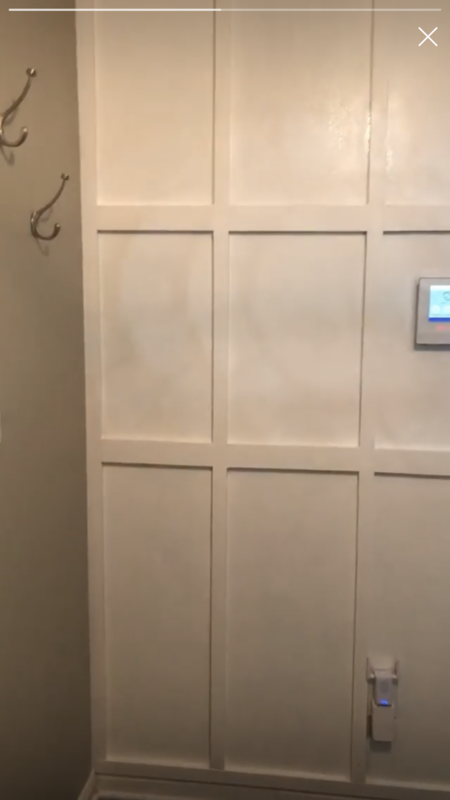 Today I wanted to reveal my super super easy small foyer board and batten project that I worked on last weekend. 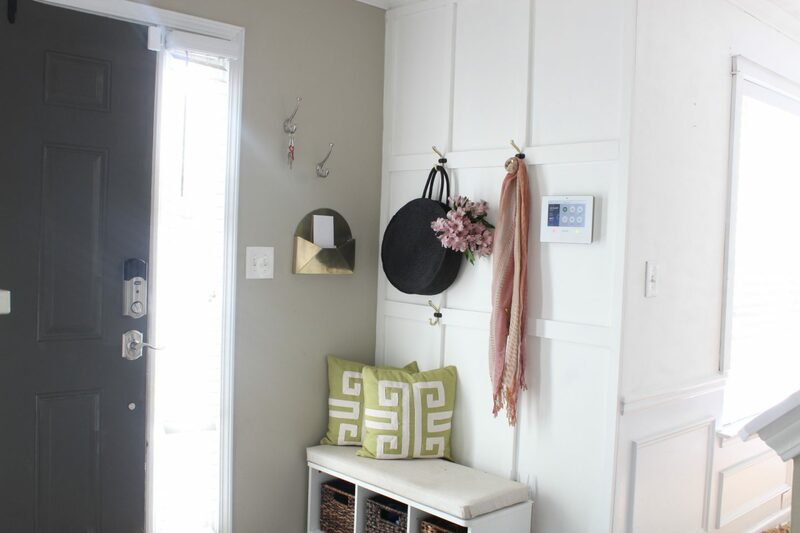 It was so easy to complete and made all of the difference with how my entryway now functions. I know, not bad at all. In fact, I actually liked this space before hand, however, it had zero functionality outside of the bench. My son keeps his shoes in the bench, but had no where to drop off his lunch bag, I had no where to put my purse of quickly throw my light jacket. Then I had an aha moment! 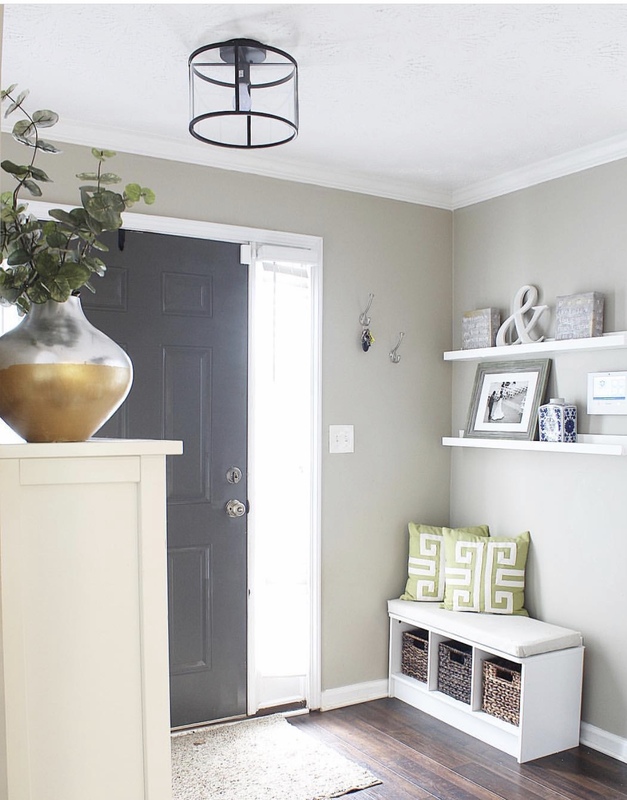 I could duplicate a similar pattern from my living room into this hallway and make my entry foyer into a small mudroom. Once I made up my mind, I didn’t over think it. I headed straight to Home Depot and purchased my supplies. 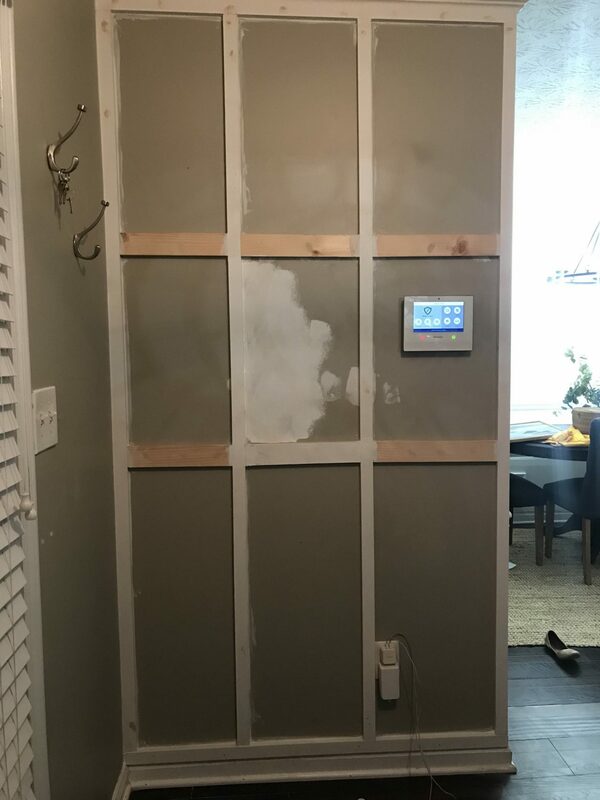 To start this project, I removed the old shelves and patched the holes. I then started to attach the pieces on the wall. 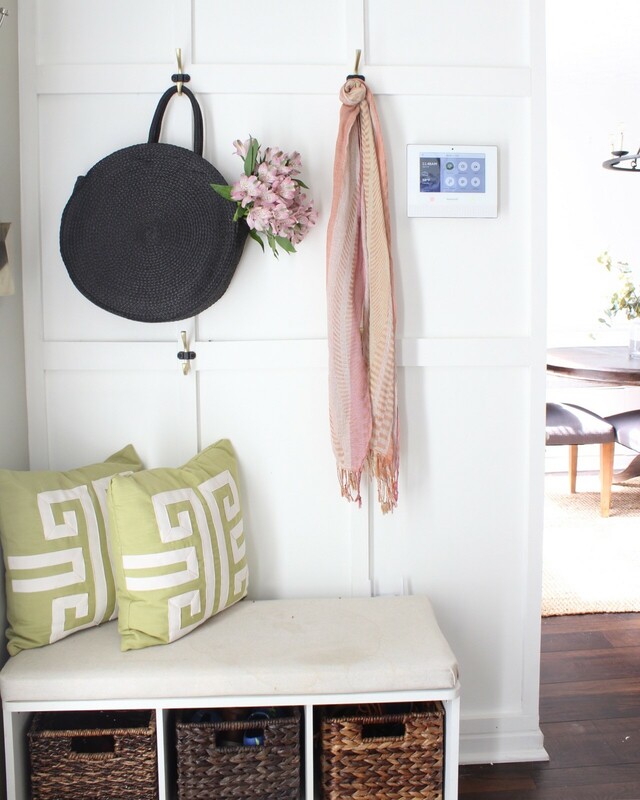 You need to attach all of your pieces to the wall based on your specific measurements. After attaching the pieces using my Ryobi Power Nailer ( you can use hammer and nails, but it will take a lot longer. You can also Gorilla Glue. 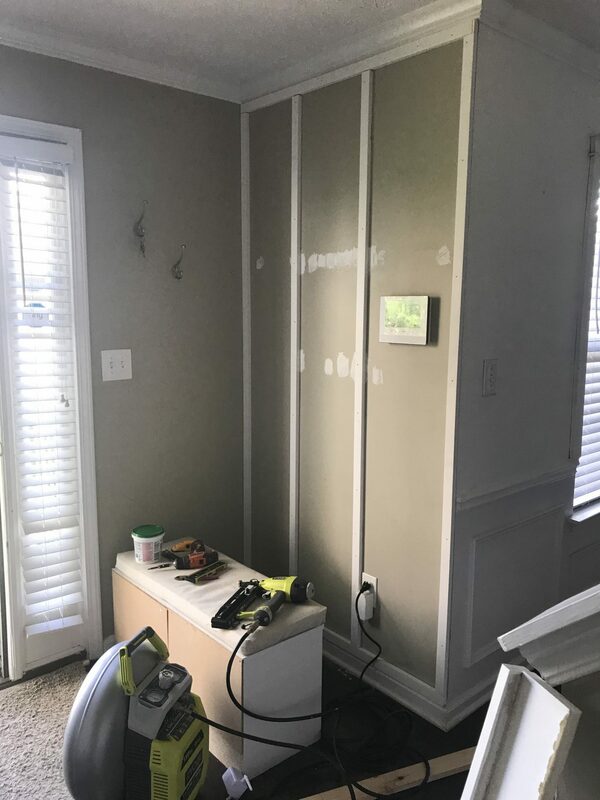 I caulked where all of the seams met and painted. 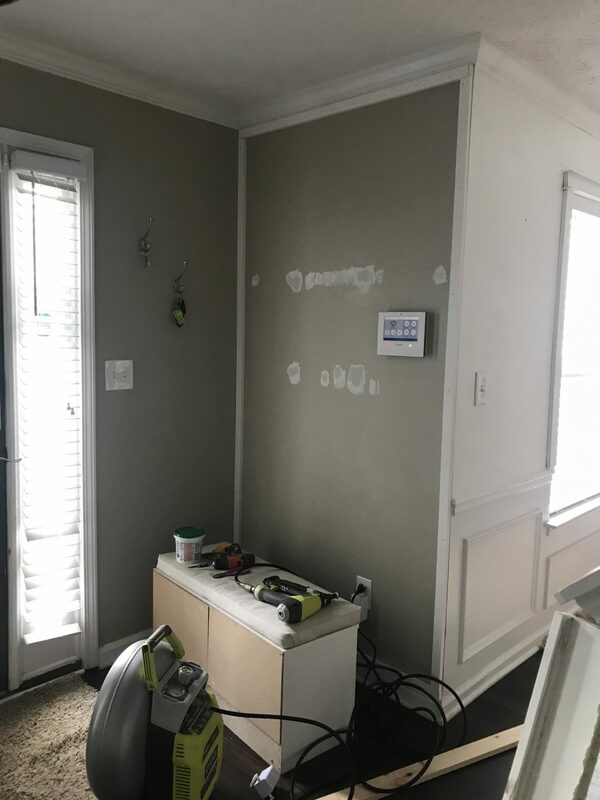 It took around four coats to get it fully covered. 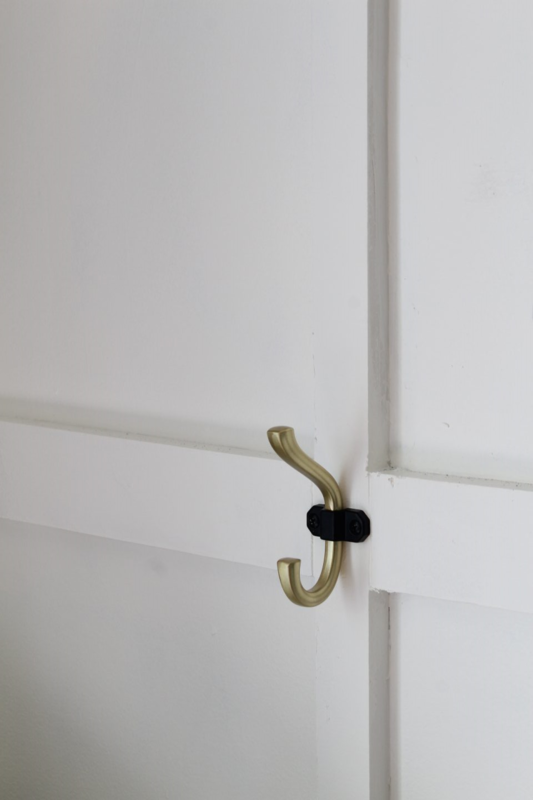 After painting and letting it dry, I added these two tone gold hooks. They are from the Home Depot and I absolutely love them. 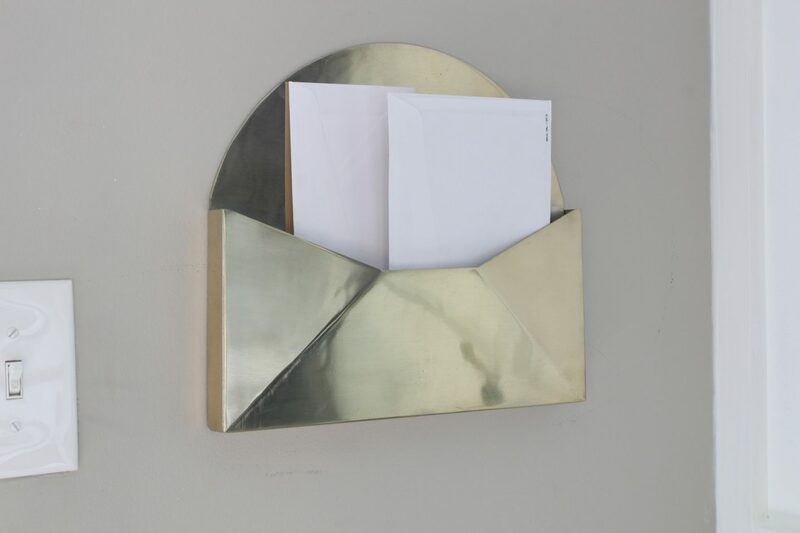 I also added this gold mailbox from Target, as a catch all for our incoming mail. Love that its narrow, so we will have to go through it and keep the box pretty clear of paper clutter. I still need to replace my other two key hooks that have been there for a while, since they are brushed Nickel, but Home Depot was out of these hooks. Love it, Erin!! You’re making me want to try this in my guest bedroom!